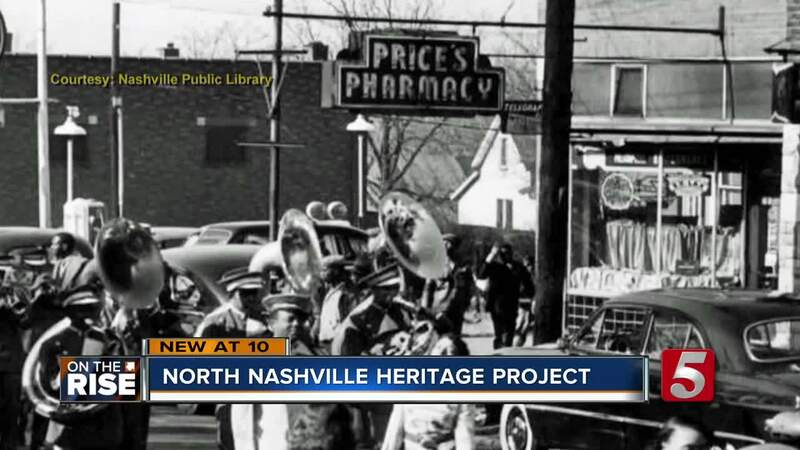 A north Nashville university professor is asking for the public's help when it comes to preserving a community's history. As construction in the Metro area continues to increase, the physical changes are causing some concerns that neighborhoods are losing their heritage. "I watch this every day," Dr. Lee Williams Jr. said staring across a street where workers are building a home. Williams Jr., an Assistant Professor of African American and Public History at Tennessee State University, has been working on the North Nashville Heritage Project for the last 10 years. "A lot of our culture, the things that define us as African-Americans were a lot of the stuff that help to craft this image of Nashville as music city was born here," he said. In order to preserve the North Nashville heritage, Williams wants to interview residents who live and once lived in the area. He is especially interested in the community’s oral history, stories of marginalized groups, the area's historic natural and built environment, and its material culture. "The people are a big part of the history," he said. Jefferson Street had a rich history of where entertainers like Jimmie Hendrix, Little Richard and Tina Turner performed and visited. It's also where thousands of students walked during the Civil Rights movement. Williams said he's interested in interviewing people from barbers, grocery store owners who saw the city develop in the 20th century. Even the people who even bailed students out of jail in the 1960s during the Civil Rights movement in Nashville. "It's those types of stories I think might get lost in all of the gentrification and development. None of the folks that live here now would be able to stay over there," he said while pointing to the development being built across from Jefferson Street and the I-40 underpass near the Gateway to Heritage Plaza. If you are a past or current resident of North Nashville or have memories of the community you would like to share, we encourage you to contact Dr. Learotha Williams Jr. at 615.963.5513 or via e-mail at lwilli22@tnstate.edu to arrange an interview. For more information, visit the North Nashville Heritage Project Facebook page.